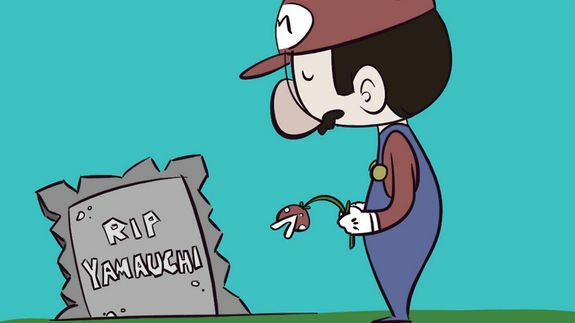 Gamers' Touching Tributes to Nintendo Visionary Hiroshi Yamauchi - trendistic.com: ever tried. ever failed. no matter. try again. fail again. fail better. If you’ve ever played a Nintendo video game, Hiroshi Yamauchi has more likely than not touched your life. Yamauchi — a businessman who lead Nintendo as president from 1949 to 2002 — died Thursday of pneumonia at age 85 in Japan. Yamauchi is credited for overseeing Nintendo’s transition from a small company that produced playing cards to the video game giant it is today. Video game lovers on Thursday took to social media to say goodbye to the gaming visionary (see gallery, above).